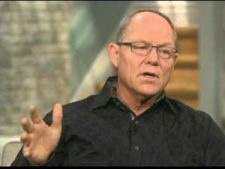 The “Bible Answer Man” radio show program with Hank Hanegraaff has been booted from Bott Radio Network over concerns regarding biblical accuracy, following Hanegraaff’s conversion into the Eastern Orthodox Church. “We want to make sure that our listeners know that the programming that we have on Bott Radio Network is thoroughly biblical,” said BRN President Richard P. Bott II, a member of Lenexa Baptist Church in Lenexa, Kansas, according to Baptist Press. BRN had reportedly been broadcasting the “Bible Answer Man” since the 1980s, even before Hanegraaff joined the show in 1989. “We live in strategic times,” Bott told BP.